Once a client or loved one becomes a client of DCCI, we seek to help them maximize their health and independence through a customized plan of care which emphasizes a structured and goal oriented day of activities to include daily hygiene, habit training, family style meals, day programs, pre-vocational programs, work programs, active treatment, social interaction with staff and peers, and relaxation time. If you’ve ever been frightened or concerned about what life will be like for your client or loved one once they become adults please contact the caring professionals at DCCI. We can help you get your arms around the enormous task of transitioning your loved one or client into a caring, compassionate and comprehensive residential healthcare setting. Carl E. Rowe, Pharm. D., founded DCCI in 1990 and developed a comprehensive residential healthcare model that has served the needs of hundreds of developmentally disabled individuals. Dr. Rowe’s model emphasizes the delivery of top quality healthcare in a beautiful homelike environment customized to the unique needs and abilities of each client. 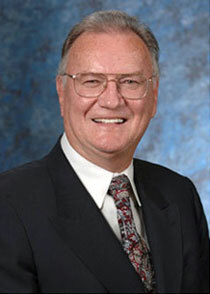 In addition to his work with the developmentally disabled, Dr. Rowe is a published author of several medical journal articles, a proven grant developer, former University of Southern California Professor of Pharmacology within the USC School of Medicine and the developer of successful drug usage studies and programs. Within the last decade Dr. Rowe has sought to transition his theories and work in residential care for the developmentally disabled to residential care for the elderly. Adapting a modified version of his healthcare delivery model for DCCI, Dr. Rowe successfully opened a 68 bed residential care facility for the elderly in 2001. He continues to operate both businesses to this day using “best practices” from each industry to continuously improve healthcare delivery to each of his clients. Our developmentally disabled clients reside in 10 facilities located within 5 minutes of each other in Moreno Valley, California, a master planned community of single family residences with an abundance of shopping, recreation and leisure activities. We are located 90 miles east of downtown Los Angeles near the junction of the 60 and 215 freeways. We are a progressive Equal Opportunity Employer offering a full range of employee benefits including health and dental insurance as well as 401K. We care for our people’s safety, food, shelter and personal growth. It is our corporate mission. We care for each client and each employee. We care that everyone associated with DCCI maximize their talents and abilities in a stimulating and supportive environment.